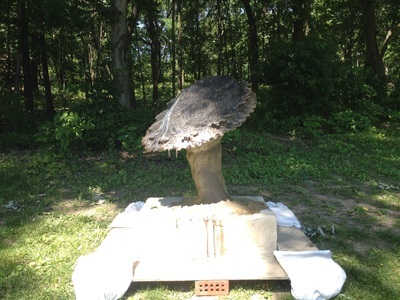 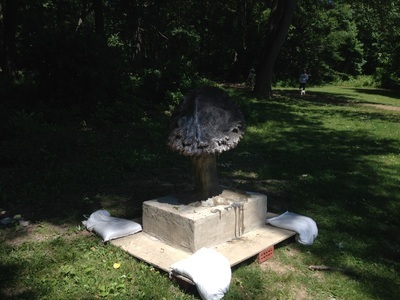 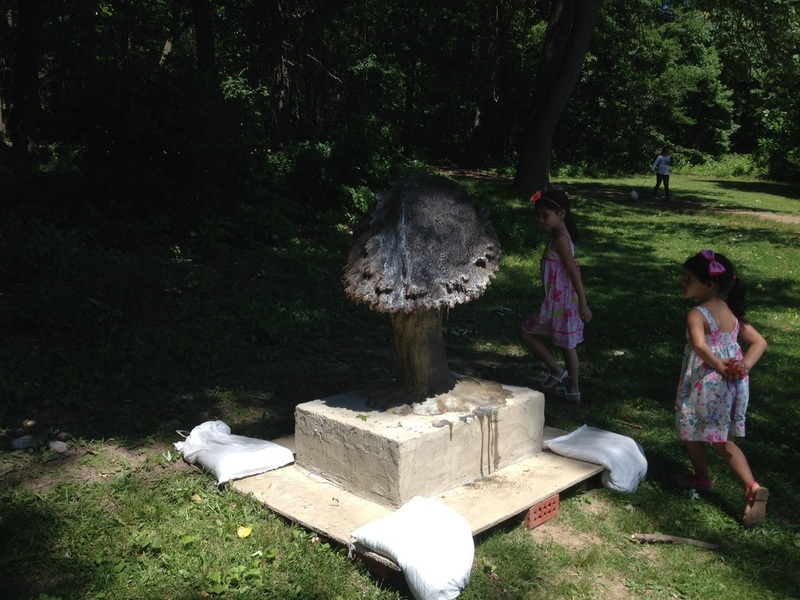 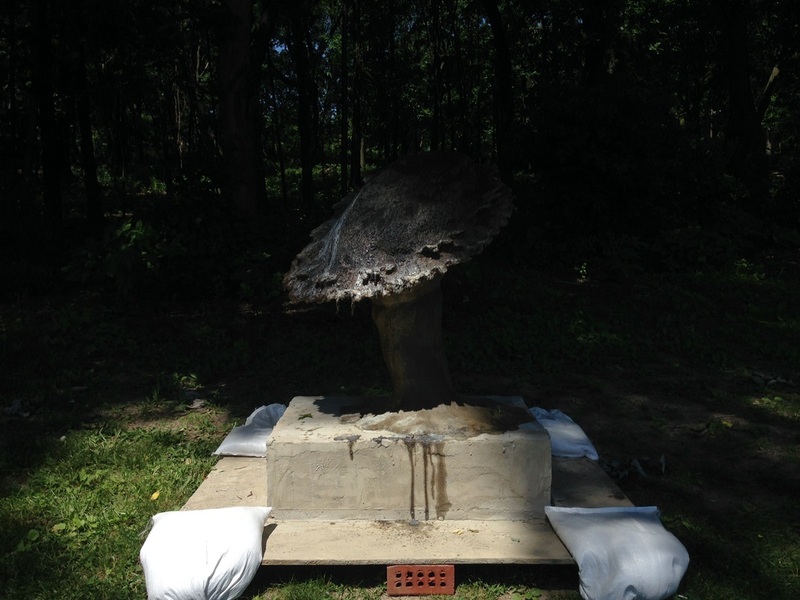 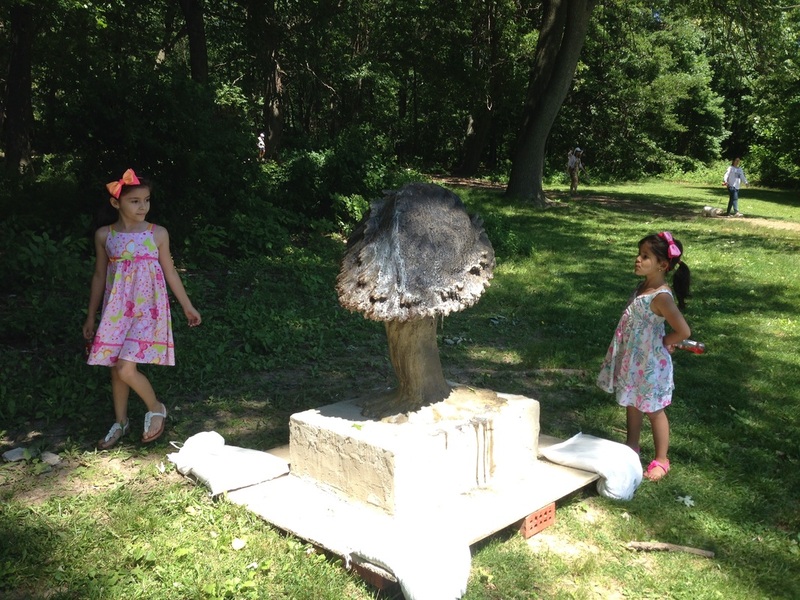 Fungal Body is a sculpture made for the 2016 Braddock Park Arts Festival at James J. Braddock Park in North Bergen, NJ. 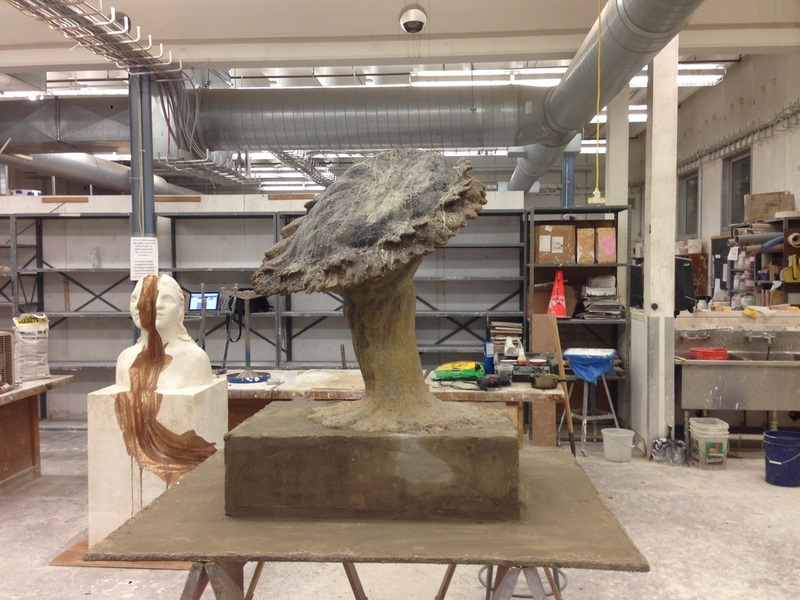 The sculpture is a mushroom like form composed by a collection of human limbs, the limbs originate from 3D scans of the artist's own body. 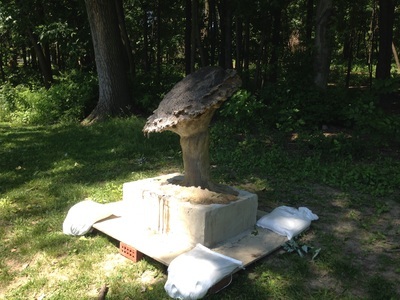 The work highlights connections between species, Mushrooms benefit humans and vice versa. 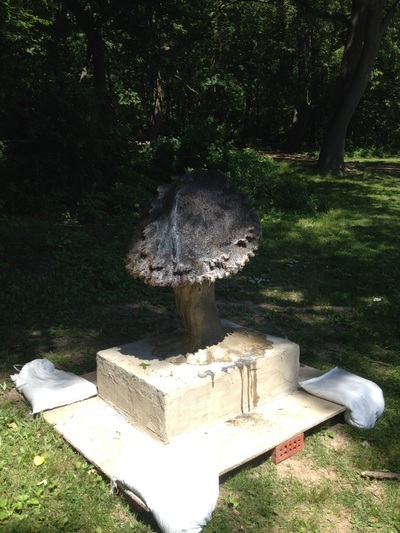 The two species interact throughout the life cycle, with humans enjoying mushrooms as food and medicine in addition to benefitting from their contributions to soil and atmospheric health. 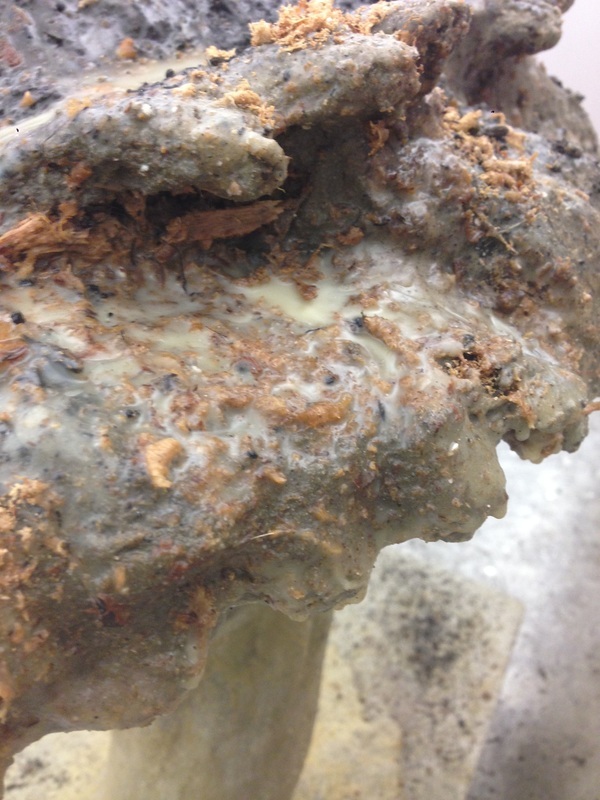 Mushrooms gain sustenance from human waste and decomposition playing an integral part in many ecosystems. 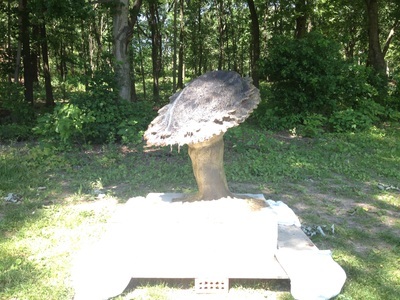 Mushrooms spread nutrients throughout the environment that are necessary for other plants and animals to survive and thrive. Fungal body is composed of human limbs that originate with 3D scans of the artist's body. 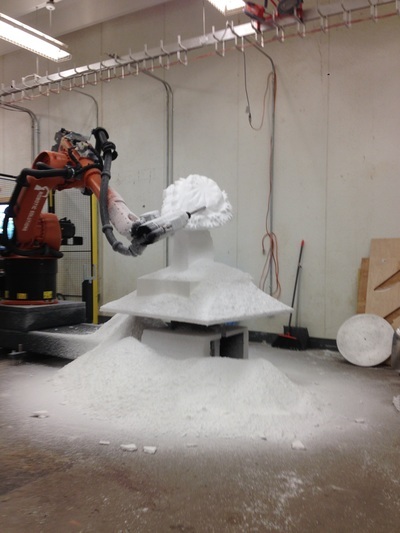 This scan is broken down into components via 3D modeling. Next the 3D model is CNC milled on a 7 axis robot. 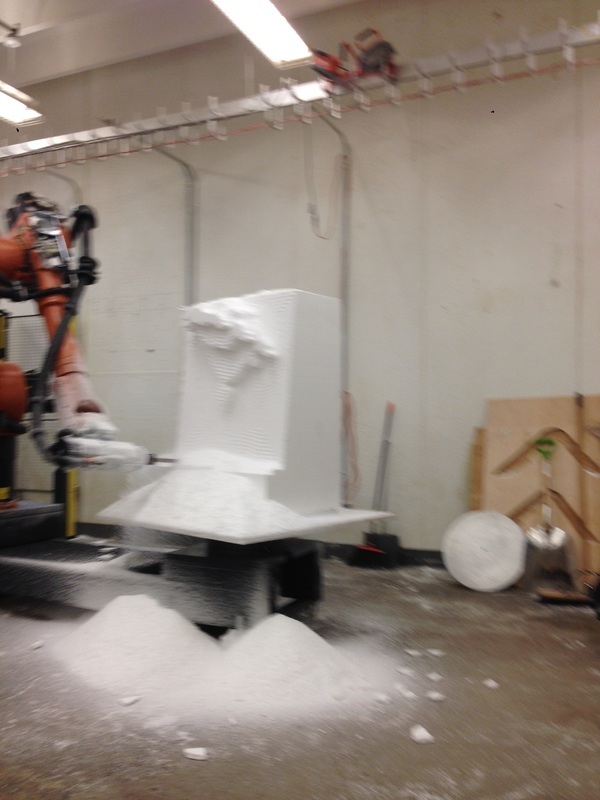 Computer Numeric Control is the method of programming machines to carve a physical world material that matches a digital model. 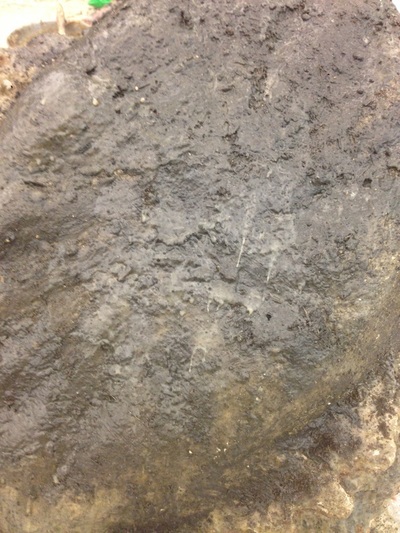 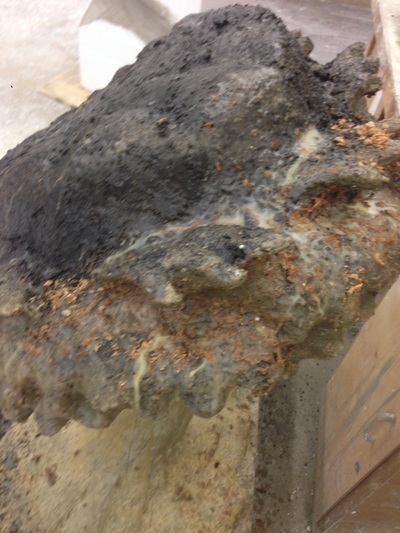 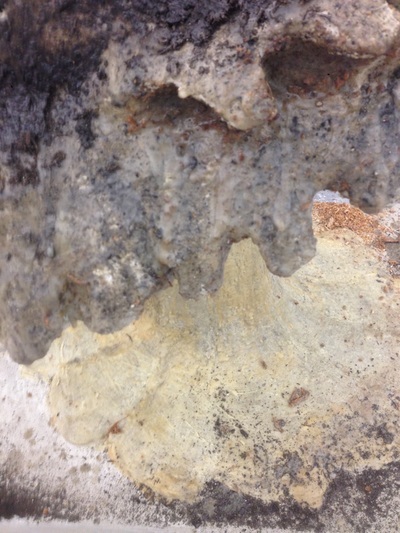 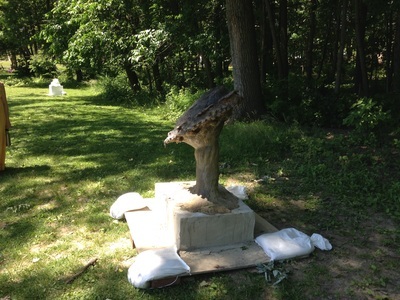 Once the work is carved it is hand finished with cement, soil, wood chips and wax. The work changed over time due to the effects of the sun on the wax component of the sculpture, causing the materials to interact with each other in new and interesting ways. 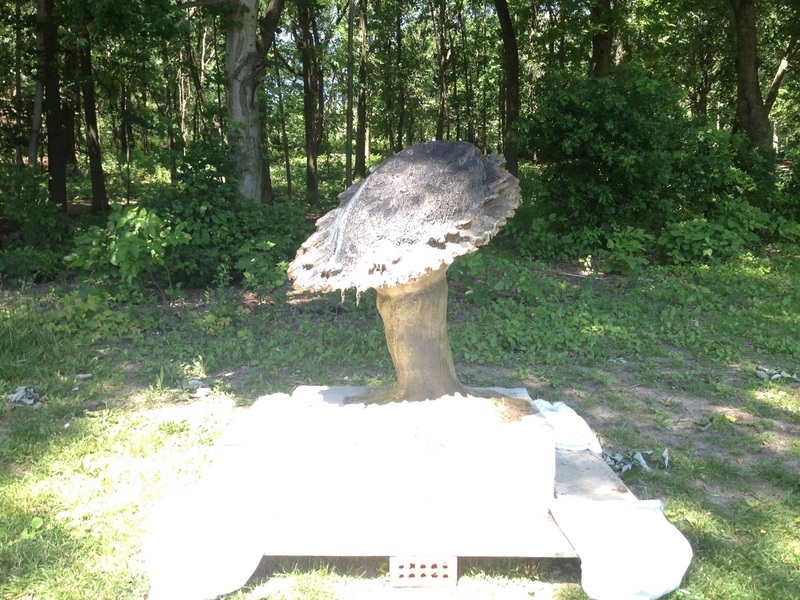 As the sculpture changed color and shape, it mirrored the way mushrooms act in their environment. 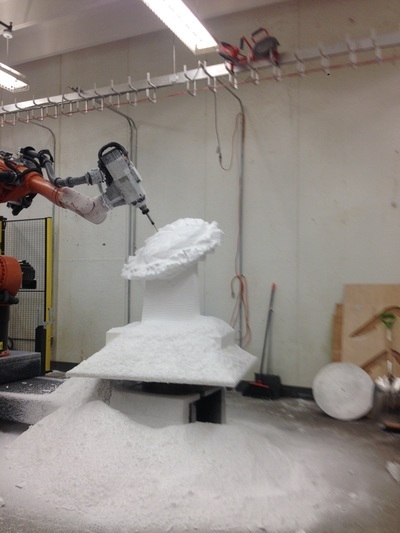 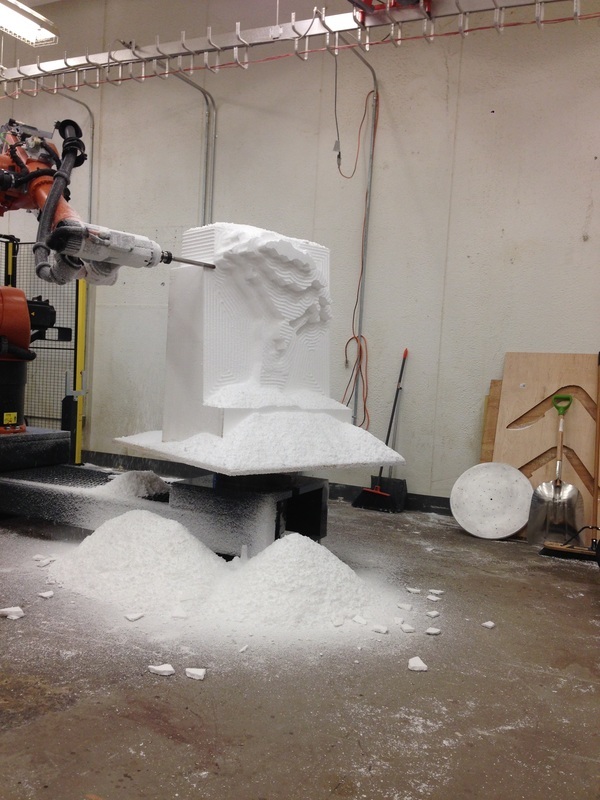 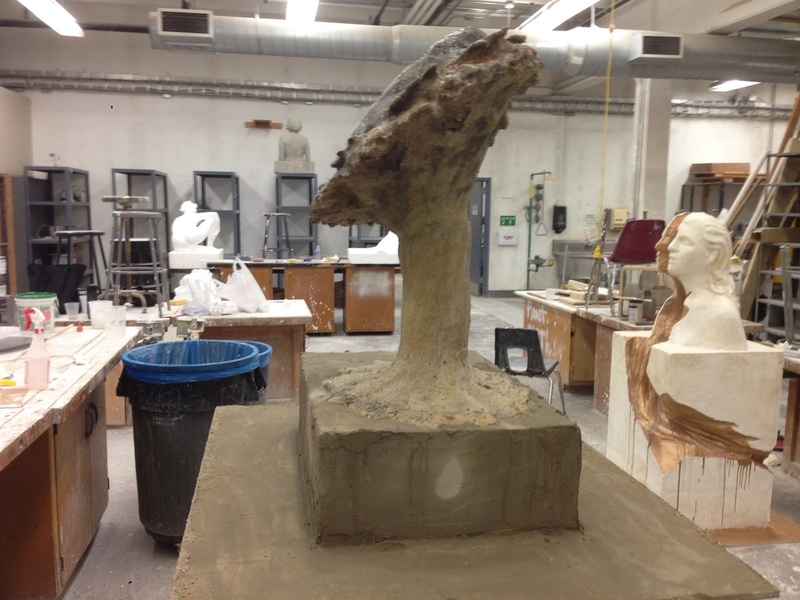 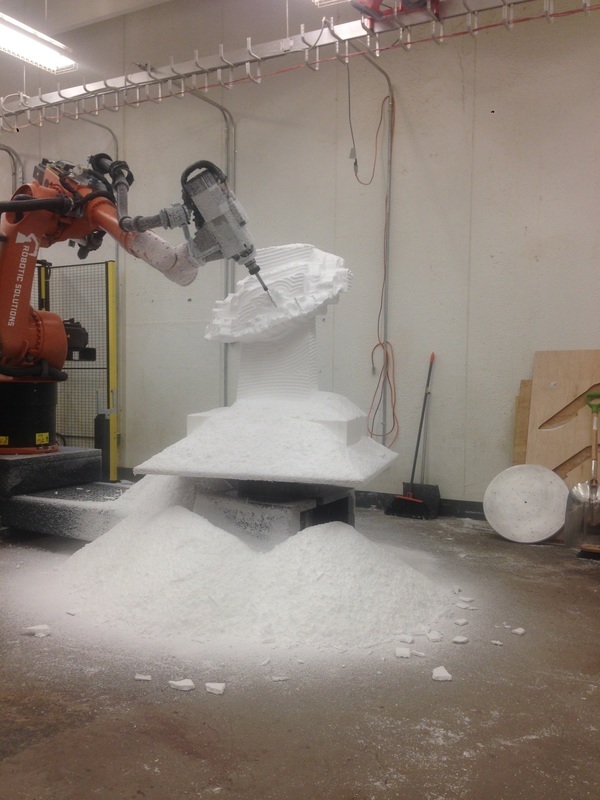 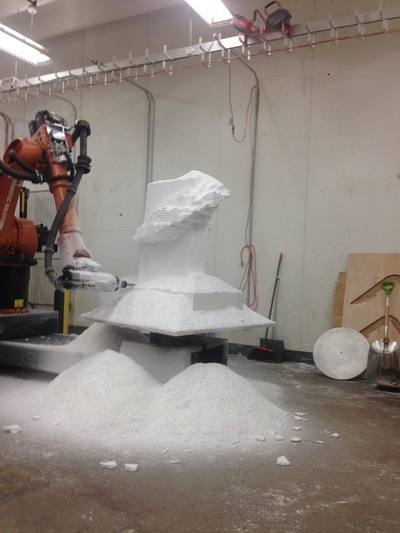 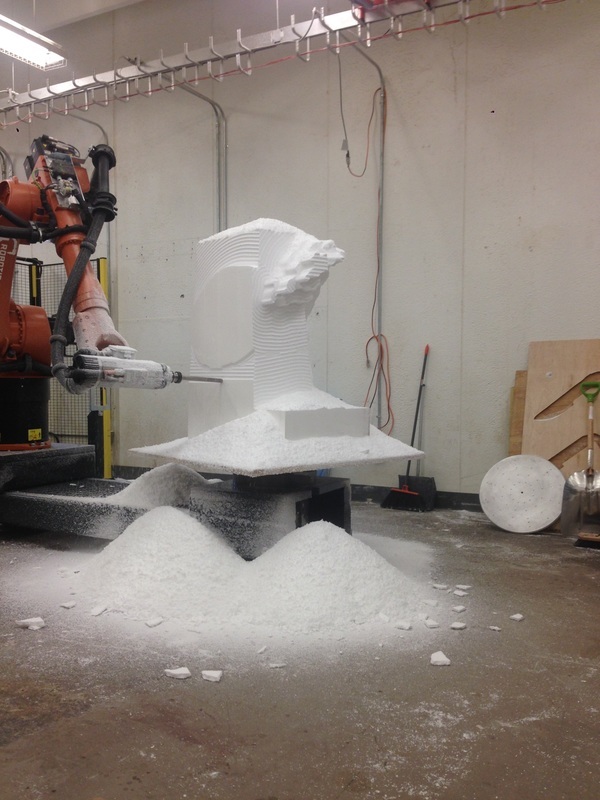 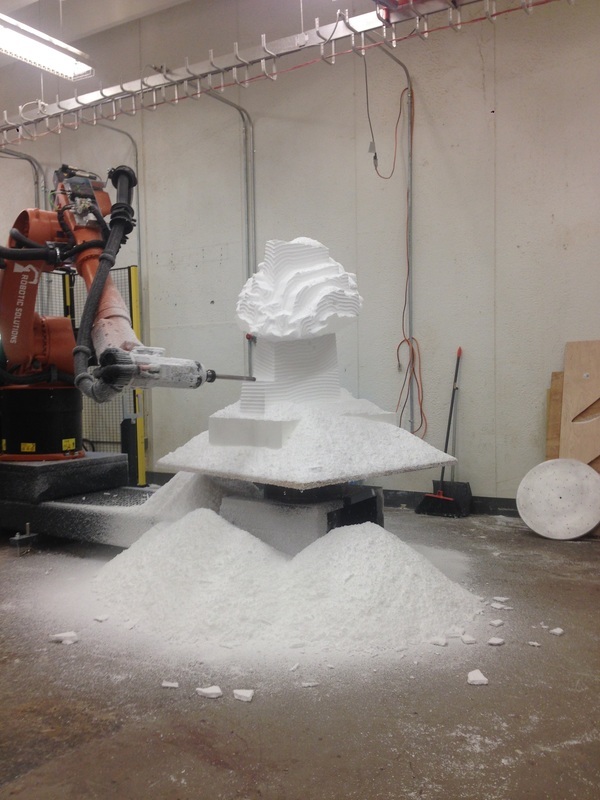 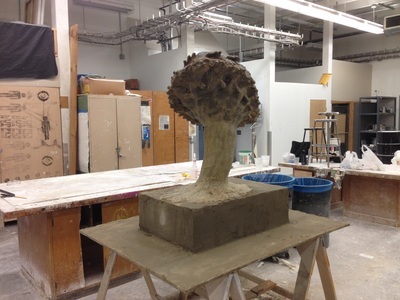 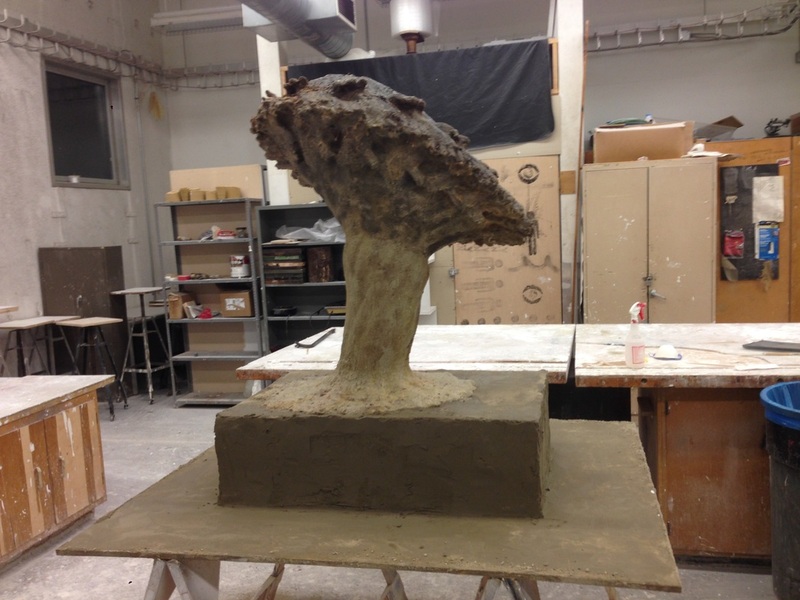 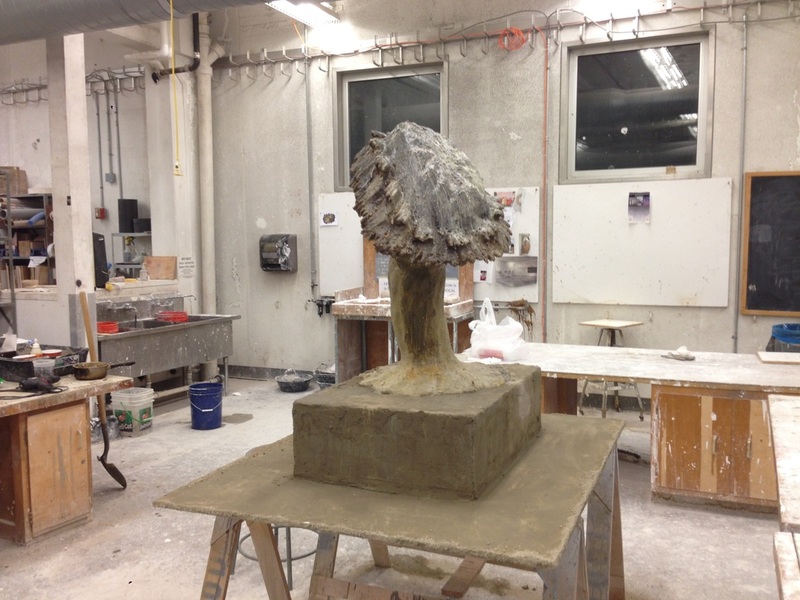 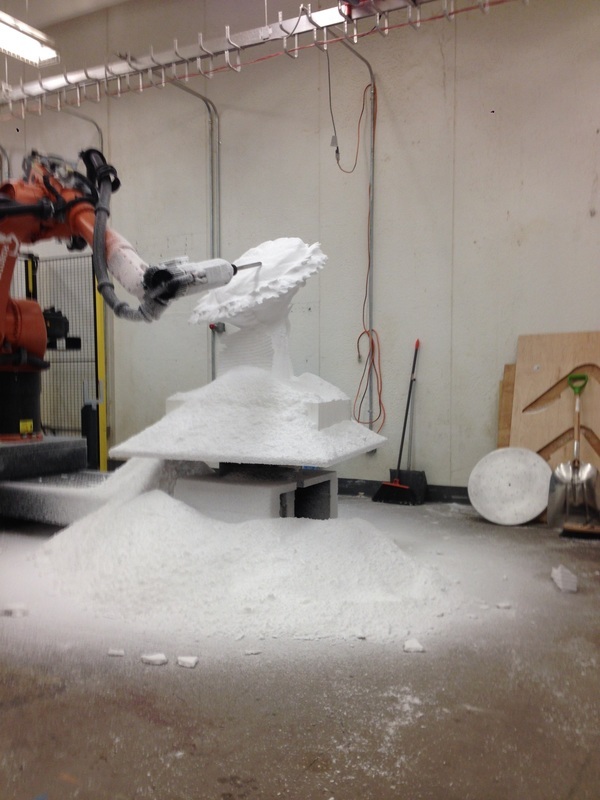 Below are images of the process showing the CNC milling, hand finishing and audience interaction with the sculpture.